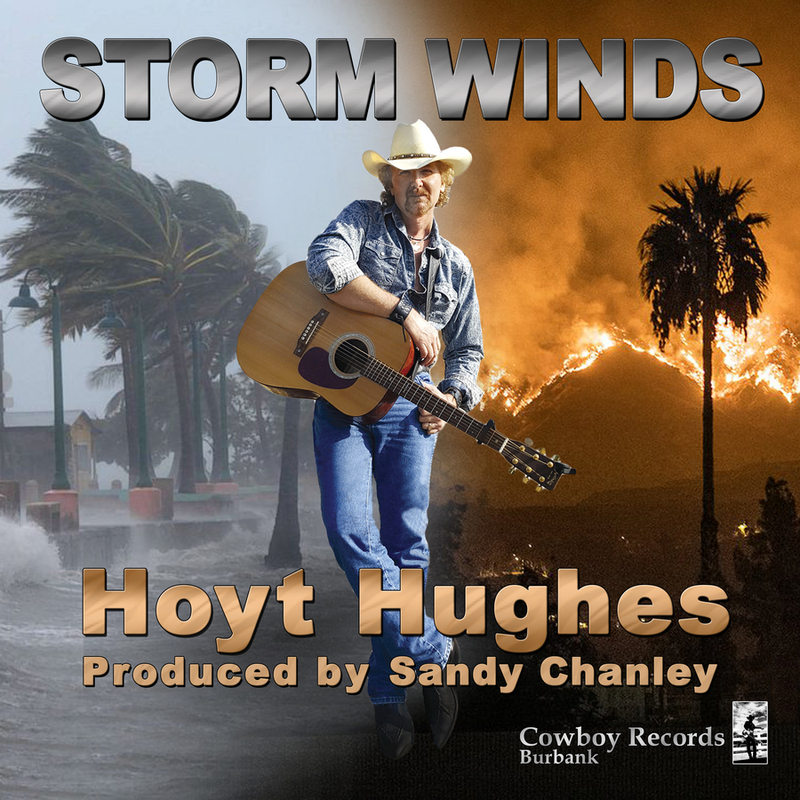 BURBANK, CA, August 23, 2018 — Production Partners, Inc./Cowboy Records (Burbank) congratulates their first signed artist, HOYT HUGHES, on his Pro Cowboy Country Music Award nomination (of the Pro Cowboy Country Artist Association/PCCAA) in the category of New Cowboy Country Star Of The Year. The awards take place in Fort Smith, Arkansas on Oct. 13th. and will be broadcast at a later date on the new and exciting Cowboy Channel (RFD TV). “Storm Winds” was recorded at legendary Studio City Sound (California) and Engineered, Mixed, and Mastered by Grammy Award winning mixer, Tom Weir. Some notable contributions to the song are Mike Baird on drums (Rick Springfield, Journey), Rob Math on elec. guitar (Rock Godz Hall of Fame 2018), Kathy Fisher of the band “Fisher” on background vocals (2000's most internet downloaded song of all time “I Will Love You”), Bob DeMarco on bass guitar (world class Film and TV composer/DeMarco Productions), Ryan Mascilak on piano (Arranger/Musical Director of St. Finbar Church in Burbank) and Sophie Ann on background vocals (Los Angeles session singer). Rob Math, Ryan Mascilak, and Sophie Ann are all alumni of the prestigious Berklee College of Music.